Get paid for doing what you love, get loads of perks and benefits, learn something new and make a career for Life The Avon Gorge by Hotel Du Vin. 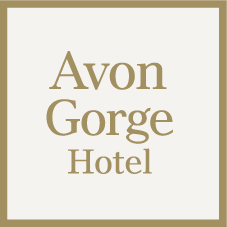 The Avon Gorge Hotel is looking for enthusiastic, professional individuals who want to work in a busy Food and Beverage environment. As a Waiter / Waitress you will be the face of the restaurant, help control the flow, and ensure communication between the Kitchen and the F&B Manager to ensure smooth and controlled dining experience for our guests. We have recently undergone an extensive refurbishment in all areas of the hotel and most recently a brand new restaurant. You could be among the first team to show off this new addition to the Bristol dining scene. As a Waiter / Waitress at The Avon Gorge you will be tasked with delivering the brand standards on a daily basis, you will strive to exceed our Guests expectations and will be a people focus'd and organised individual.